Who needs the gym when you can ride a horse? 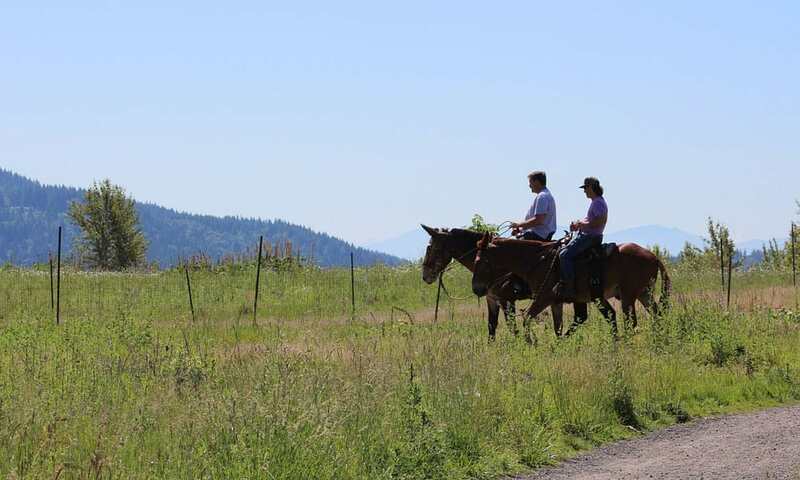 Horseback riding isn’t just fun, it’s good for your health too! Both your physical and mental health can improve when you decide to take up this exciting sport. It might be time to get in the saddle more frequently. Your body will be happier and healthier when you decide to go for a ride! Burn some calories! Depending on the gait and your discipline, you can get a major workout just by riding your horse. And that doesn’t even include grooming and cleaning stalls. Improve the muscles in your legs, abs, and back. If you’ve ever had a difficult ride, your legs might turn to jelly once you dismount. And those sitting trots are only perfected with awesome core muscles. It’s no doubt that this sport tones certain muscle groups. Your coordination will definitely get better. You’ll be expected to use your whole body to get the best results out of your horse. Balance is key! In order for your horse to perform his best, he needs a rider that is well balanced in the saddle. In time, you’ll learn how to follow his movements and stay perfectly positioned in the saddle. You can expect your stress to melt away. There’s nothing more peaceful than having a pleasant ride on a horse. Get more confidence! You’re only riding a 1200 pound animal with a mind of his own. That takes guts and a bit of fearlessness. You’ll be expected to problem solve and think quickly. There is likely moments when you’ll have to make split-second decisions. If you’ve been riding for a little while, I’m sure you’ve already experienced some of these health benefits. You’ll be expected to use your mind and body every time you climb into the saddle!